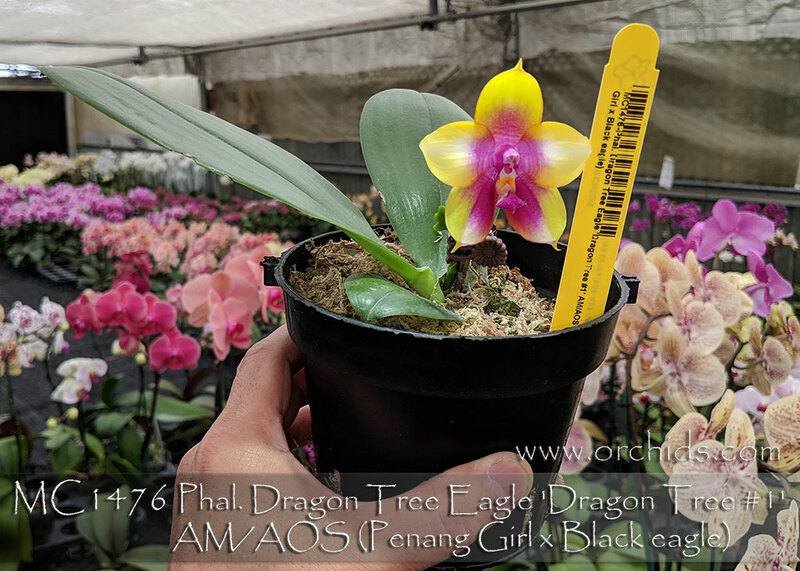 A non-stop bloomer and great show plant, ‘Dragon Tree #1’ has vibrant yellow-green fragrant waxy flowers dramatically accented with a contrasting central flush of maroon ! Phal. 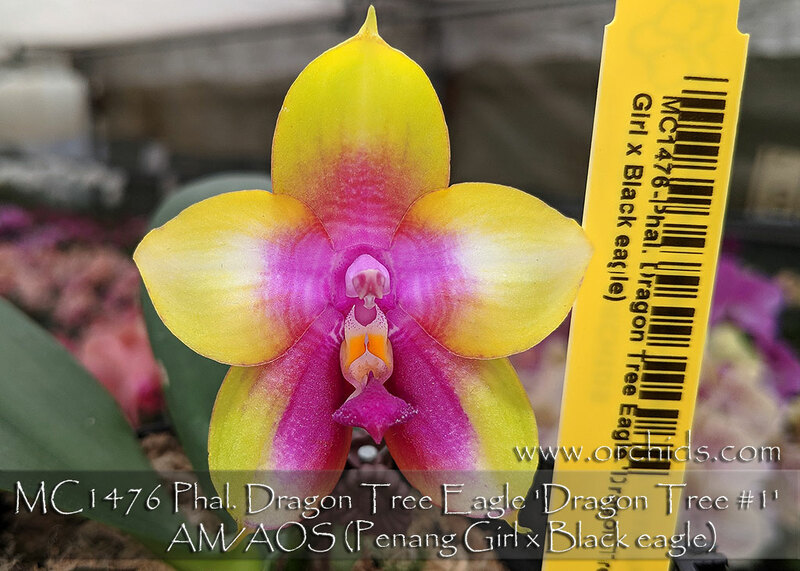 Dragon Tree Eagle has been the major backbone for all of today’s fragrant novelty breeding due to its vivid color pattern and compact spikes. This particular clone’s advantage is its really round leaves which will continue to breed round leaves into its progeny to create future compact growing hybrids. A fabulous display of vividly contrasting colors and patterns, this is sure to draw the eye from anywhere. Very Limited Stem Props and a must for hybridizing. Very Highly Recommended ! Dragon Tree #1, AM/AOS; Note: Amazing Fragrance .Classic Plant.